Newspaper Articles seemed to be a very serious business for me at first place. Right from the childhood, I saw my elders discussing various columns and columnists writing on different issues; the most common names at that time were Nazir Naji, Azhar Sohail, Irshad Ahmad Haqqani; Jamil-ud-Din Aali and Ata-ul-Haq Qasmi. One day, I picked up the paper, tried my luck to read an article under attracting strange heading Zero Point written by Mr. Javed Chaudhy. The article started in a dramatic manner like a story and grabbed my focus till the very end giving a meaningful message. Woow, Articles are not that weird thing at all! A very firm relation evolved from this point and Javed Chaudhry’s Zero Point became an integral part of my life. These 3-4 articles per week are a source of awareness, inspiration and motivation; wherever I go. World of Javed Chaudhry is really diversified; amazing and colorful one. Distinctive feature of his articles is highlighting lives of big and biggest achievers; telling sparkling success stories from local and international arena. These are explained in such a dramatic and inspiring manner that it leaves a reader with a lot to think and relate. Javed Chaudhry has covered hundreds of such success stories covering almost each and every field be it Science & Technology, Politics, Education, Sports or Social work etc. His notable articles included personalities like Ex Iranian President Mahmood Ahmadi Nejad, US President Barrack Obama, founders of Stanford University, Bill Gates, Steve Jobs, Indian Prime Minister Narendra Modi, Khashwant Singh and most lately Ex. US vice president Algore etc…Local achievers included Allama Muhammad Asad, Dr. Amjad Saqib, Malik Riaz Hussain, Cricketer Mushtaq Ahmed, Hakeem Muhammad Saeed, Irshad Ahmad Haqqqi, Mumtaz Mufti and Qudratullah Shahab Sahib etc. Such life inspirations revolve around the untiring efforts of these people achieving the incredible with amazing philosophy of life. The comparative analysis gives us a pumping factor to rise and act upon the success lines of these individuals. Javed Chaudhry is such a lucky person to have seen dozens of countries around the world. Allah gave him the courage and resources to keep moving in the brief spaces of a hectic life. He is perhaps that only Pakistani Columnist to have traveled that much. While traveling he shows us the culture, beauty and social systems from around the world. Very minute details are covered in the Dawns and Dusks spent near and far covering places from Thailand, Egypt, Dubai, India, Central Asia, Georgia, Switzerland, Norway, US, France and most lately Australia and New-Zealand. The readers learn so much from his experiences and with such beautiful style of Manzarkashi we feel the part of scene. Thirst of knowledge, bold expression of observations is quite visible as he travels from one place to the other. Very often we see him comparing community behavior and systems of these countries with masses and system in Pakistan; carrying an extreme desire that Pakistan become such a tolerant country carrying qualities visible in parts around the world. Apart from personalities and travel, Javed Chaudhry often tells us lessons of life from un named Baba Jee(s) coming up with spiritual and Sufi definition of life. Javed Chaudhry also shares notable events from daily life in light of his strong comparative style. Nonetheless, his articles also shed light on the local Political on-goings with appreciation for performers and bundle of useful practical suggestions for our inconsistencies. His books which are compilation of his columns are real jewels to have in your collection. Cover portrait of these seem to be a work of Genius saying many things without saying. To date, 5 (or 6) volumes of Zero Point books have been published doing great business and satisfying the pursuit/thirst of knowledge for Pakistani public. The ending note on the backside Zero Point books gives a concise meaningful message to readers leaving them spellbound. His book on series of Interviews turned out to be an eye opener for me. Notable interviews includes meetings with Altaf Gohar, Mumtaz Mufti and Ata-ul-Haq Qasmi Sahib and excellent pieces written regarding Professor Ahmad Rafeeq Akhtar and Khan Liaquat Ali Khan. The reader indulges into a mystical mode while reading this book and becomes a part of Yadoon Ki Baraat with these Greats of Pakistan. Meeting with Mumtaz Mufti was a real treat and opened countless doors of discoveries for me; reading and writing Habit being few of them. At once, I thought how could someone speak such spontaneous fearless truth? From there onwards, I read many amazing books of Mumtaz Mufti and also had a chance to read Wasif Ali Wasif, Qudrat-Allah Shahab and Ashfaq Ahmad as a chain reaction. Gaye dino ke suraj is a must read for Pakistanis from my side. Most striking thing in writing of Javed Chaudhry is high level of research based facts and figures for which a dedicated team is assisting him (as discovered from some of his articles). I was really pumped up to see Javed Sahib starting a TV show KAL TAK and his way of starting the program was just amazing where he kept on coming up with some sort of stories relating to the given topic of his show. However, it would be quite fair to say that his columns and writing skills are much ahead of the talking (style and timing) he do as recognized by many of his critics. He admits after all that he earns Rizq(major chunk) from this TV show; but the good thing is that he keeps working harder to justify KAL TAK much more. Thumbs up for a bright future! Despite being a loving follower of Zero Point and Javed Chaudhry; I could not digest his acceptance article to claimed Abbotabad killing of Osama Bin Laden by US forces rather he could have raised his voice for getting some photographic/physical evidence supporting this claim from US. After attack on Hamid Mir, he defended his journalist colleague and then praise for Malala Yousufzai could well be discussed in a much broader picture. He could have also shed light on the acts of GEO TV and the smelly and rotten atmosphere that Hamid Mir creates in his show. Factors which got these two among the top 10 most hated people in Pakistan could have highlighted in his work. 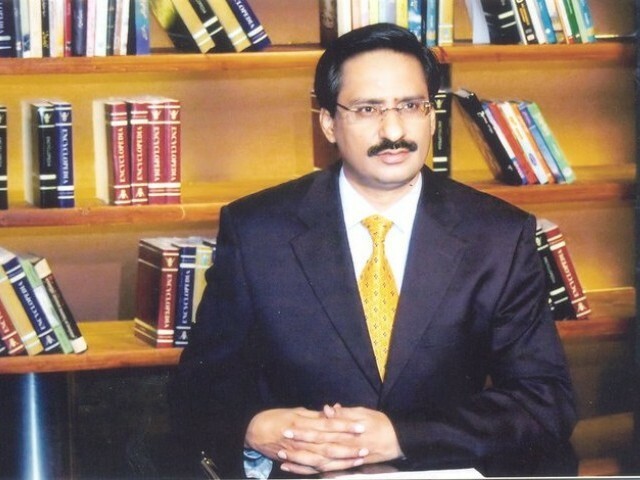 Javed Chaudhry commands splendid style of writing, variety of topics, amazingly diversified circle of important people and constant hard work; achieved such great heights of Knowledge and excellence. Keeping his educational and family background in mind, this is really an inspiration for all of us. He has been a great servant of Pakistan and has done his job with sincerity and honesty. I would like you to thank from the bottom of my heart for doing such incredible work for the awakening the nation. May Allah give you a healthy and blessed life my dear Javed Chaudhry Sahib and we keep on fetching benefits from the streams of your pen.